When I got married and had a house (all 800 square feet of it) of my own, the first thing I did was plant some peonies. I had admired my mother's big, fragrant white ones ('Festiva Maxima') and the medium pink one (unknown, and unfortunately gone) that bloomed between two boxwoods in front of the house. Mother's peonies flowered profusely and were very old - given to her by a Mrs. Thomason in our town. It was said that the peonies came from Mrs. T's mother-in-law, which would have put them back at least to the turn of the century (19th to 20th, of course). My peonies, bought from a cheap catalog, did not fare so well. I remember planting them in a deep hole I dug. At that point in time, I had no idea that in the South, the red tips should be almost at the surface of the ground. Peonies need a good bit of cold to set flowers, so that's the reasoning there. I had some foliage come up for a couple of years, and then any trace of the plants disappeared. In my first centerpiece for the Atlanta Journal & Constitution, I wrote about Berma Abercrombie's daffodils. 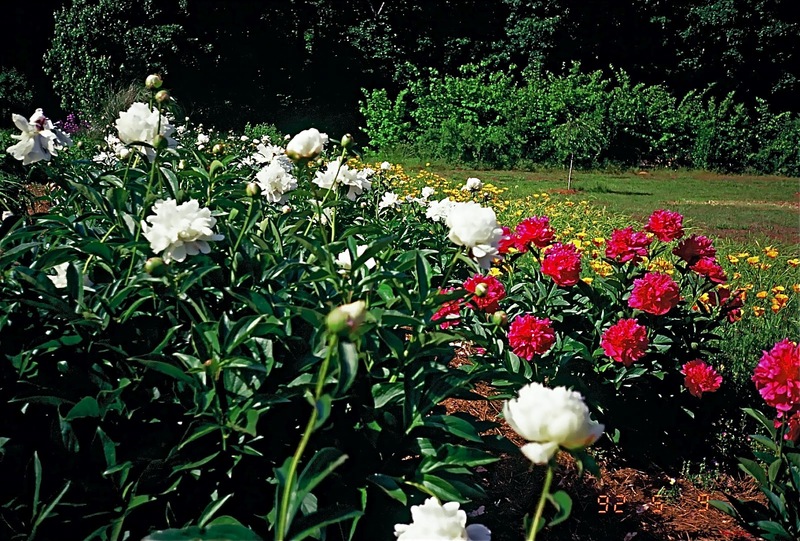 In that article, I also gave some advice from Mrs. Abercrombie about growing peonies in the South. She had old varieties from her mother-in-law, as well, and the plants were as big as boxwoods and covered with blooms. It was she who told me that ants do not hurt peonies and that it was normal to see the creatures crawling up and down the stems and onto the buds. Mrs. Abercrombie was the one who set me straight on how deep (or rather how shallow) to plant peonies. Another thing she did was in the fall, she would take wood ashes from the fireplace and put them around the plants. Then, in the spring, she made an indention in the ground around the peonies about 10 inches from the stem. In that circle, she put copper sulfate as soon as the red tips broke through the ground. The copper sulfate, she said, helped ensure that all the blooms opened. 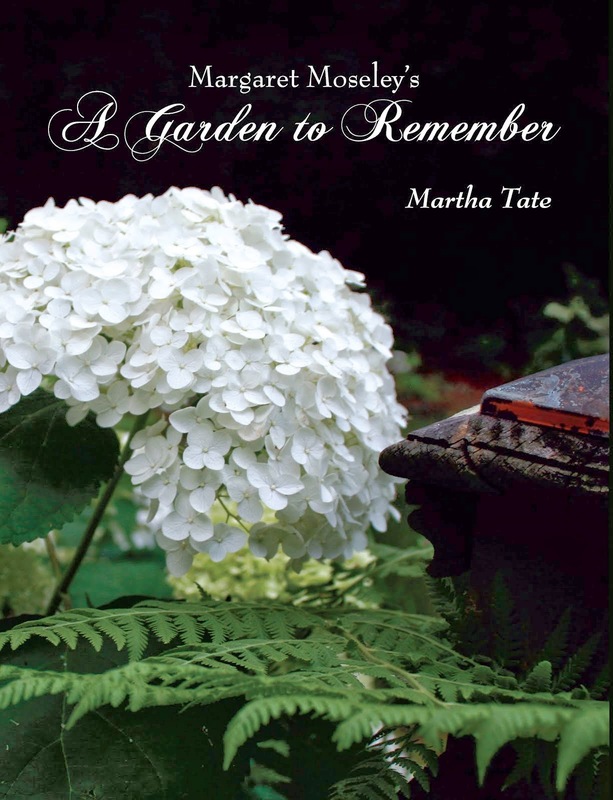 When the late perennial plant guru Barbara Allen read this, she called me. She had brought her father's peonies from the North and didn't want to take any chances with them. She went a couple of years with few blooms and then purchased the copper sulfate. The results were phenomenal. Her father's peonies were loaded with flowers, and the application of the chemical became part of her spring routine. Before she died, Mrs. Abercrombie gave me a jar of copper sulfate. I have been remiss in using it. This past spring, I didn't have a single bloom on my usually prolific 'Mrs. F. D. Roosevelt.' I won't let this happen again. This month, I'm going to clean out my fireplaces (which should have happened already) and put plenty of ashes around the few peonies I have. Of great concern are the two pieces of 'Festiva Maxima' I moved from Mother's. A well-intentioned friend with a weed eater kept cutting the plant's foliage to the ground, so that I barely found the roots to salvage. I know people in the North who are reading this are amazed. Peonies are a given in cold climates. Depending on their location, they can do well here, too. The ones pictured above were part of long rows in a field at Ruth Mitchell's house in Lamar County, which is south of Atlanta. When she and her late husband Dennis tried to move some of them, they had a rough time. Ruth said the roots seemed to go down six feet, and they had to give up the effort. One last piece of advice from Mrs. Abercrombie. You'll have better luck in the South with early and mid-season peonies. The late-blooming ones will have a hard time with the early onset of summer heat. I think that's part of what happened with some I purchased. Year after year two of the plants would put up good foliage and some tiny buds. But then it got hot, and they never did anything. Someone once said to me, "It's not worth even trying to grow peonies. The flowers just don't last long enough." The blooming period for these fabulous flowers is short. Still, it's worth it to me to bring those giant blooms in the house and enjoy their beauty and fragrance, even if it's for a fleeting moment. No matter how much effort, Peonies are worth it! I too brought many from up north when I moved. Every spring I look forward to the blooms. Stunning and so fragrant. One fabulous bouquet a year!